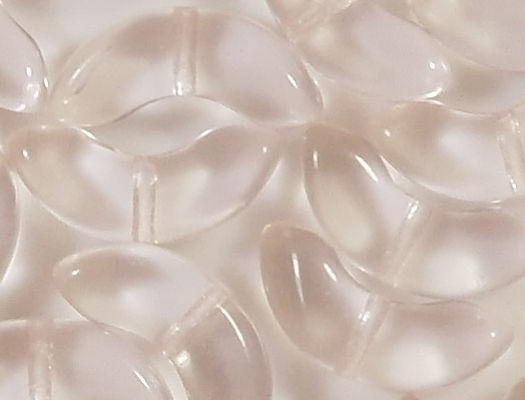 14mm crescent-shaped beads (14mm from end to end) with the hole running through the middle. 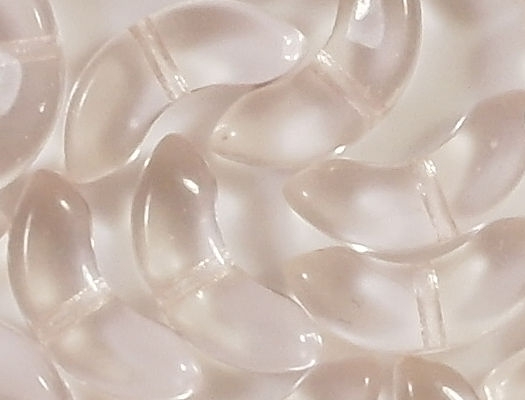 The beads are 5mm from hole to hole. 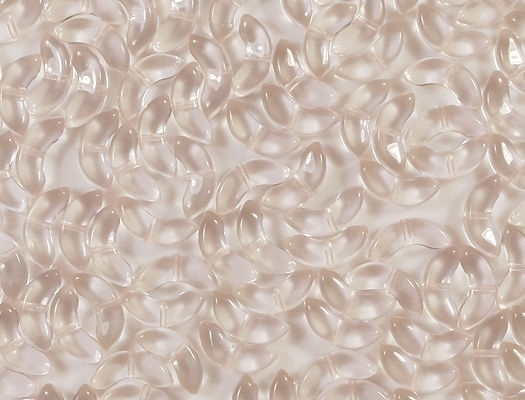 The beads appear to be in good shape, although angel-wing beads don't always have a uniform shape from one to the next. For seven years this listing had all kinds of errors in it, which explains why so few lots were sold. In the title, the listing said they were 15mm, but when I finally measured them, I discovered they were 14mm. The listing said that they were "aqua", when in fact they are a peachy pink. Also, the picture showed the wrong shade of pink. A customer finally called me about them, which made me aware of all the errors. Here is the low-down on the beads. The manufacturer said they were 15mm, but they are actually a little smaller (14mm). 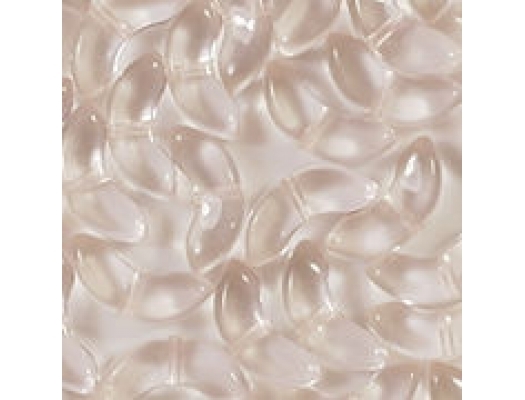 The bead are a light peachy pink (not the rosy pink that the old picture showed). And the color is so light that you can barely see it. Personally, I like beads with more color, but it's not for me to judge.